Recent years have seen self-therapy become much more of a talking point in international media. The concept refers very broadly to the idea of treating one’s own emotional or psychological problems, without the help of a therapist. But what does it really mean? In this article, we look at the difference between self-therapy and closely related themes, such as self-counseling and self-help. We’ll look at the work of key psychotherapists who have shaped the development of the movement, as well as the huge range of different applications. Throughout, we’ll consider the ways in which self-therapy can comprise a significantly powerful tool in dealing with anxiety and depression, and how you can tap into what we already know about the idea to help yourself and others. Self-Therapy, Self-Counseling, and Self-Help Therapy. Is it the Same thing? Can You do Self-Therapy and Does it Work? Just like there is a wide range of different types of psychotherapy, self-therapy can have a lot of different definitions. Generally, the term refers to psychotherapy we can conduct, on ourselves, without the intervention or assistance of a therapist (King et al., 2017). Let’s look at different terms that tend to get used interchangeably with ‘self-therapy’. Self-Therapy, Self-Help therapy and Self-Counselling do sound a lot like the same thing. And to be honest, different practitioners (and individuals) may choose to use the terms the same or different ways. If that sounds confusing, it’s because there are no strict rules around our chosen use of the different terms. “Examining one’s own behavior, using psychoanalytical methods of free-thinking and free association”. It can “help you take more effective control of everyday situations, and enable you to make continued progress”. Self-counseling approaches can include applying techniques such as Glasser’s Reality Theory (RT), Gestalt Therapy, and Ellis’ Rational Emotive Therapy (RET), as well as tools like meditation, relaxation, and more (Makuch, 2014; Martin, 2014). “Therapeutic treatment of oneself especially for the purpose of coping with one’s personal or emotional problems”. There is significant overlap between self-therapy and self-help therapy. That’s because both terms describe self-driven methods of treating psychological problems or growing our internal capabilities. ‘Self-help therapy’ implies that a specific problem is being addressed, though there’s no strict definition of it. ‘Self-therapy’ encompasses growing our capabilities, as we will see later when we discuss the Self-Therapy Journey. Another thing you may notice is that ‘self-help therapy’ and ‘self-therapy’ are very often used to describe Cognitive Behavioral Therapy (CBT). It’s worth noting that while both can involve CBT to some degree or another, it’s more common in mainstream media to see CBT being linked more explicitly with the former (Anxiety Canada, 2018; NHS Inform, 2018). In short, both are almost the same, and neither is linked exclusively to CBT. As we’ll see, self-therapy can be used to describe many different techniques. The Internal Family Systems (IFS) Model and the idea of the Inner Critic are two that we will also introduce in this article. Dr. Jay Earley, the founder of the website Self-Therapy Journey, is probably best known for his extensive work on Internal Family Systems (IFS) therapy. As well as being an author and teacher, his work on the ‘Inner Critic’ concept is widely acknowledged and used in self-therapy. In Earley’s own words, the ‘Inner Critic’ describes an internal part of ourselves that “judges you, demeans you, and pushes you to do things” (Earley, 2018). The Inner Critic features heavily in self-esteem issues, which commonly underpin anxiety, stress, and depression. If you’re interested in discovering your own Inner Critic(s), Earley and Weiss have developed a quiz that you can fill out at Self-Therapy Journey (STJ). Earley’s work can also be seen in the Pattern System that forms the basis of the STJ online resource. This system helps to map the capabilities, behavior, inner parts, and dynamics of our psyche and can be helpful in allowing us to better understand the relationships we have with others and ourselves. Bonnie Weiss, psychotherapist, teacher, author, and trainer has written various books on IFS in self-therapy. Notably, Weiss’ exercises are incredibly useful resources for guiding individuals and therapists through a step-by-step process of self-directed IFS. These exercises provide a structured means of navigating through one’s own inner parts, communicating with them. Weiss’ extensive work covers themes such as blending and reblending with wounded parts, accessing The Self and developing our personal potential. Self-therapy is absolutely something that you can practice on your own to work on anxiety or depression; without needing to become accredited or attain a formal qualification. In fact, it can be an economical and more practical solution for less serious cases. Therapists aren’t on call 24/7, and learning to do self-therapy can be a brilliant resource for those times when you or your client might experience strong feelings of anxiety or depression. Because there are so many different ways of going about self-therapy – from CBT to Rational Emotive Behavior Therapy (REBT), IFS, and more, there are many different tips out there on how best to go about doing self-therapy. Here, we’ve isolated some of the key things that contribute to better results over the long term (Knaus, 2014; Therapist Aid, 2018; Weiss, 2018). 1. Start by thinking about what you’d like to achieve. Are you hoping to learn techniques for managing anxiety? Looking to nip negative thoughts in the bud? Do you want to work on developing some positive current behaviors? There’s no ‘right’ answer. Clarifying your overarching goal will simply make your different objectives easier to understand. 2. Understand more about your problem or goal. Knaus (2014) outlines how REBT involves separating your ‘problem’ into a practical part and an emotional or behavioral part. Weiss (2018) suggests learning more about the different ‘subpersonalities’ of your psyche that are causing you problems. CBT exercises recommend identifying your triggers and cognitive distortions. All these have one thing in common. To work towards your goal, you need to develop your understanding of your problem. This article contains worksheets, questions, and links to resources that may be helpful starting points. 3. Study your feelings and/or behaviors more closely. Take a closer look at how your problem is presenting. Are you hoping to deal with a behavioral problem, like avoidance or coping behaviors? Or are you wanting to target unwanted feelings, like social anxiety or stress? Keeping a record of when and where these feelings or behaviors pop up. Are you able to discern any patterns? Are there certain situations that lead to the problem? 4. Identify and explore any associated self-talk, thoughts, or beliefs. Very often, irrational or unhelpful cognitive mental processes are behind unwanted feelings and behaviors. 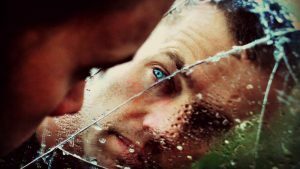 Stress, anxiety, depression, and even relationship difficulties can often be addressed by identifying the negative self-talk or distortions that go on in our head. Feel free to pick and mix any of the questions we’ve provided in the next sections to guide you through this step. 5. Challenge your irrational thoughts, internal dialogue, or beliefs. We’ve also included a whole range of worksheets and resources to help you with this step. Regardless of which direction you choose to take your self-therapy, the goal is to feel more positive. We can do this much more effectively by addressing the root cause of the problem, which a lot of medications don’t do. 6. Replace your irrational thoughts or beliefs. As an example, Sarah is given feedback on a work task by her boss. Instead of allowing herself to think negatively (e.g. “I’m not good enough”), she replaces this with a more objective, rational thought. Instead, she thinks: “My boss sees my full potential, and I’m excited to grow and realize that potential”. 7. Practice, practice, and practice. Every day, we face triggers and external events that we have no control over. As we practice, develop, and strengthen our rational and positive thought processes, we get better at managing our responses to them. Reward yourself with something you enjoy doing for keeping up the good work. Self-therapy questions are designed for you to ask yourself. The aim of self-therapy questions is to probe a little deeper into the nature of whatever anxiety, depression, or emotional problems you might be experiencing. As we will see quite shortly when we look at Internal Family Systems (IFS) approaches, these can take many different forms and may entail part of a much longer-term process. These questions require nothing more than something to write with, but keeping your answers on hand can be very helpful over the long term. You or your patients may find that being as honest as possible while answering makes for more powerful reflection at later points in time. This worksheet and set of questions are best used together. The Cycle of Anxiety worksheet is designed to help those of us with anxiety understand how the symptoms often lead us to engage in avoidance behaviors. Because many therapeutic interventions (such as CBT) attempt to deal with anxiety by ‘breaking the cycle’, the illustration can be helpful to visualize, understand, and target the source of our anxiety. As part of self-therapy, you can use the Cycle illustration to introduce yourself or your client to the concept of how feedback and reinforcement contribute to the recurrence of avoidance behaviors. This activity can help facilitate an understanding of why it’s often important to tackle the source of these negative emotions head-on when they occur. As a therapist, it is often not possible to be around when your client experiences external anxiety-inducing triggers, and this worksheet is very handy for them to have on hand. What are three things that trigger your anxiety? What are three physical symptoms that you experience when you feel anxious? What are three thoughts you tend to have when you feel anxious? What are three things you do to cope when you are anxious? By asking yourself these questions, you can develop a better sense of what triggers your anxiety, how it manifests physically and mentally, and the avoidance behaviors you commonly exhibit. You can access and download The Cycle of Anxiety Worksheet from TherapistAid, and the full set of questions. Anxiety and depression often come together, being brought about by negative thought processes. These questions are designed to help you or someone you know to challenge these maladaptive thoughts and help you reassess them. Ideally, they should provide an alternative perspective and help you cope with or reframe the situation. Is there substantial evidence for my thought? Is there evidence contrary to my thought? Am I attempting to interpret this situation without all the evidence? What would a friend think about this situation? If I look at the situation positively, how is it different? Will this matter a year from now? How about five years from now? Challenging our subjective or potentially distorted thinking patterns is a logical next step to being able to identify and recognize them, which the Cycle of Anxiety exercise above helps with. The questions can be very helpful if a client or you yourself realize that you might be catastrophizing, overgeneralizing, or magnifying/minimizing the importance of certain situations. Building on our mention of cognitive distortions, catastrophizing can be a particularly crippling vicious mental process to those suffering from anxiety or depression. These questions are especially useful because they can be easily adapted to meet a whole range of different levels and stages of emotion. They are aimed at helping you or your client understand that the worst possible solution is not always right. A kind of self-therapeutic revisit of Occam’s Razor, if you will. How likely is it that your worry will come true? Give examples of past experiences, or other evidence, to support your answer. If your worry does come true, what’s the worst that could happen? If your worry does come true, what’s most likely to happen? Based on the Earley and Weiss’ work on the Inner Critic, these questions are designed to be self-administered. The test itself shouldn’t take longer than 8 minutes, and the results will be most helpful to you if you answer them using your first reaction. Based on the answers you give, you will ideally be able to get some understanding of the internal parts of yourself that give you unnecessary negative messages. Each question is answered on a five-point Likert Scale ranging from Never to Always. Here are 6 questions as examples. 1. I set extremely high standards for myself. 2. I push myself to work very hard so I can achieve my goals. 3. When I think of trying something new and challenging, I give up before I begin. 4. I have a hard time feeling OK about myself when I’m not acting in accordance with my childhood programming. 5. It is hard for me to start on new projects because it is unacceptable to make mistakes even when I am just learning. 6. I am troubled by something I have done that I cannot forgive myself for. The Self-Therapy Journey Inner Critic questions can be found on selftherapyjourney.com. At first glance, self-therapy may seem like something that only works for individuals. In fact, it’s quite useful for relationships too. Couples therapist Toni Herbine-Blank has been counseling and treating couples with the IFS technique for many years, and we’ll introduce this model a little further on in the article. How does it work? In short, we take the idea of internal conflict and apply it to the dynamics of our relationships. When we understand our own shortcomings and the conflicting dialogues within ourselves, we acknowledge that we’re only human. As we become aware that yes, we can really heal ourselves, we realize that the same is possible in our romantic relationships. In the same way that we can replace negative self-talk with rational and helpful messages inside ourselves, we can work on our relationships, too. Her full article can be found at The Center for Self-Leadership blog. Unpredictability is part of the very nature of anxiety. Triggers can be internal or external, and it’s easy to feel overwhelmed fairly quickly. As mentioned, not everyone can access a therapist instantly, so guided self-therapy can be incredibly helpful for dealing with daily occurrences that might lead to moderate or mild anxiety (Cuijpers et al., 2010). How does self-therapy work for anxiety? Often, self-therapy is used as part of a stepped-care model. This means it is considered a low-intensity treatment which individuals with anxiety can do without therapeutic intervention. At the same time, carrying out self-therapy for anxiety can help us understand if a more high-intensity approach is required, while also being a useful tool to use alongside one-on-one therapy (Gillihan, 2016). 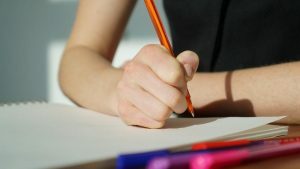 Anxiety Management Techniques – typically used alongside cognitive restructuring and relaxation, these can include ‘grab-and-go’ self-therapy techniques that work well in everyday life. These can include positive self-talk, grounding techniques, and related exercises, some of which we’ve included below in our worksheets section. In a nutshell, self-therapy for depression uses a lot of the same techniques and approaches. Most self-therapy approaches to handling depression use CBT techniques to identify, combat, and change negative thoughts. Individuals can easily learn to develop Cognitive Behavioural Therapy skills, and when self-directed, these can help to somewhat reduce feelings of anxiety as well – the two are often found together, as mentioned (Hirai & Clum, 2006; King et al., 2017). Neuroimaging research also provides evidence to suggest that CBT helps to reduce activity in our self-referential medial prefrontal cortex, which is typically ‘on’ when we’re having negative self-thoughts (Yoshimura et al., 2014). A whole range of different CBT-related exercises is available that you can look into at your own pace. Because both social anxiety and obsessive-compulsive disorder (OCD) are related to feelings of anxiety, self-therapy is frequently used as a means of addressing both. In fact, just under a quarter of those found to have OCD are also diagnosed with social anxiety (Brown & Barlow, 1992). Self-therapy, in this case, will often involve identifying the anxious ‘parts’ of our psyche that are driving obsessive thoughts, compulsive behavior, or feelings of fear relating to social situations. 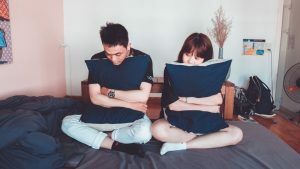 Social anxiety can often drive behaviors, particularly avoidance-related behaviors, and self-therapy directed at treating it often starts with psychoeducation. Research points towards the effectiveness, in particular, of cognitive-behavioral bibliotherapy and internet-based programs for individuals with social anxiety (Furmark et al., 2009). Even more encouragingly, these improvements showed signs of having endured in follow-up trials a year later. Bonnie Weiss shares some self-therapy exercises in her PDF Self Therapy Workbook Exercises. This comprehensive worksheet includes exercises based on the Internal Family Systems (IFS) Model, a form of psychotherapy that we’ll examine a little closer in the next section. All these exercises can be done using a pencil and of course, can be administered to oneself or used to guide clients. Instructions can be helpful if you are interested in practicing positive self-talk as part of self-therapy for anxiety or depression. This worksheet starts by guiding you to recount a recent experience, one where you felt that your internal dialogue was unhelpful or even sabotaging. Common negative self-talk related to anxiety and depression includes thoughts such as “I’ll never be able to handle this”, “He/she must hate me”, or “Things didn’t go right because I’m useless/not good enough/etc”. Catch it – recognize that you’re engaging in unproductive, damaging self-talk. Control it – Stop! When you find yourself thinking negatively, break the vicious negative cycle by saying STOP to yourself. Change it – Turn your negative self-talk into positive ones that are grounded in reality. This is important to help evoke more pleasant and helpful emotions. Cherish it – Enjoy the positive emotions and the feeling you have just created! This worksheet can be found in its full form from the Winona State University, including more detail on powerful challenging questions to pose to those negative messages. Not all self-therapy exercises are rooted in CBT, exposure therapy, or similar. It’s well known in positive psychology circles that practicing gratitude is associated with lower levels of stress and depression (Wood et al., 2008). Journaling: By taking time each day to record a few nice things that happened, you can reflect on these if and when you feel anxious or depressed. Big things can come in small packages, so ‘good things’ can be anything from seeing trees in flower or helping someone across the road. Letter Writing: Composing letters to those who you’re thankful for (or to), and getting it down on paper can really trigger some strong positive emotions. The worksheet guides you through this. Gratitude Walks, during which we can focus externally rather than internally, looking around us at things that make us feel appreciative. The full worksheet is available at TherapistAid. The Internal Family Systems (IFS) Model is a type of psychotherapy based on the concept that our psyches comprise multiple subpersonalities. These multiple separate parts, which can be thought of as painful emotions, exist within our mental systems and can be at conflict with one another, and with our spiritual center, the Self. Each subpersonality has a distinct set of motivations, goals, feelings, and emotions, such as ‘the angry part’, ‘the loving caretaker’, ‘the inner critic’ and more (Earley, 2012). Developed by Dr. Richard Schwartz, IFS therapy allows us to recognize, target, and transform these different parts into inner strengths. (Schwartz, 1997) In other words, resources of strength, love, and freedom that we can draw on to deal with depression, anxiety, and other manifestations of imbalance between our ‘inner parts’. The ultimate goal of IFS in self-therapy is to engage directly with these facets of our psyche and heal them in order to access the Self, a source of creativity, compassion, clarity, and courage (Scott, n.d.). The Managers – these proactive ‘organizer’ parts of our psyche strive to keep balance in our systems by keeping feelings associated with ‘exiled’ parts in check. ‘Manager’ parts help us control our behavior in different situations by avoiding risks and worry, by evaluating ourselves and others, and related protective behaviors. The Firefighters – more reactive than ‘Managers’, these inner parts aim to distract you or dissociate from the exiled parts of your psyche when these come into play. Physically, they can be felt as anxiety, hypervigilance, or related symptoms such as panic and digestive problems. As Scott’s (n.d.) detailed descriptions suggest, ‘Exiles’ are young parts or the psyche that have become separated from the rest of our systems for their own – or our – protection. Traumatic, difficult, or painful experiences may have lead to this isolation, and these parts carry the feelings and sensations of these past experiences. When situational factors, or the IFS psychotherapy process are used to access these ‘exiled’ parts, they can lead us to feel extreme emotions in an attempt to be heard and attended to. Also known as STJ, the Self-Therapy Journey is a popular interactive e-resource put together by Jay Earley. Packed with tools for self-therapy, individuals can start a journey by aiming to address a specific psychological issue such as anxiety or depression and identify underpinning patterns related to this. Alternatively, it provides a useful means of working on developing our existing capacities or resources, such as strength, social confidence, or good communication. Assessments, quizzes, and (eventually) profiles on STJ help you understand how these are linked and guide you through an exploration of how to use capacities to transform negative patterns. It is also possible to track your journey of working on anxiety or depression using the resource, as well as access psychoeducational information to help you take a structured approach. Earley’s video is a good introduction to the many different ways that STJ can be used by the aspiring self-therapist. Not all self-therapy resources require you to do super amounts of soul-searching. Nor do they need hours to administer. The Knock Knock Self-Therapy Notepad (Amazon) provides a light-hearted, succinct, yet surprisingly effective way to break down certain anxiety- or depression-related feelings into smaller parts and put them into context. Stick it on your fridge or office cubicle if you feel you could benefit from a more organized (yet speedy) approach to checking-in with yourself. Audio learners may find Selftherapy.org an ideal way to engage in some self-therapy. Aimed at helping individuals manage and control anxiety, this free radio program is broken down into several different tracks that you’re free to work through at your own leisure. You’ll find different techniques and straightforward, practical guidance on how to use them in order to reduce things like feelings of stress and the occurrence of panic attacks. It’s recommended if you’re looking to get a stronger grasp on the mechanics of how things can spiral into panic, and can better equip you or your client to recognize and deal with such scenarios. In short, it’s full of tools and advice on how to use them, by dealing with anxiety head-on. Self-Therapy Workbook: An Exercise Book For The IFS Process (Amazon) – Weiss’ own workbook that outlines the IFS process in a step-by-step manner. 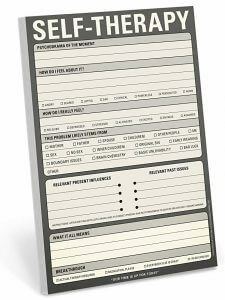 Useful for therapists and individuals alike, it gives written exercises and sample answers, too. Illustrated Workbook for Self-Therapy for Your Inner Critic: Transforming Self-Criticism into Self-Confidence (Amazon) by Bonnie Weiss – an illustrated, comprehensive and easy-to-use set of IFS-based exercises for self-therapy. Simple and straightforward yet powerfully presented, it’s suitable for teens as well as adults. Self-Therapy For Your Inner Critic – (Amazon) by Earley and Weiss, both. More in-depth information on the Inner Critic, the different types, and how we can harness our Inner Champion to counteract attacks from the former. Self-Therapy: A Step-By-Step Guide to Creating Wholeness and Healing Your Inner Child Using IFS, A New, Cutting-Edge Psychotherapy (Amazon) by Jay Earley. Complex-seeming IFS concepts made simple and clear, as well as help sheets that you can use in your own self-therapy. Today we’ve covered a few of the key schools of thought when it comes to Self-Therapy. We have also looked at some simple ways to start, and its potential applications for dealing with anxiety and depression. Hopefully, some of the resources in this article have been interesting… what do you think? How do you feel about self-therapy? Have you found any of the approaches we’ve covered to be helpful? Brown, T.A. & Barlow, D.H. (1992). Comorbidity among anxiety disorders: implications for treatment and DSM-IV. Journal of Consulting and Clinical Psychology, 60(6), pp.835-844. Cuijpers, P., Donker, T., van Straten, A., Li, J., & Andersson, G. (2010). Is guided self-help as effective as face-to-face psychotherapy for depression and anxiety disorders? A systematic review and meta-analysis of comparative outcome studies. Psychological medicine, 40(12), pp.1943-1957. Earley, J. (2010). Self-Therapy for Your Inner Critic: Transforming Self Criticism into Self-Confidence. Larkspur, CA: Pattern System Books. Earley, J. (2012). Resolving Inner Conflict: Working Through Polarization Using Internal Family Systems Therapy. Larkspur, CA: Pattern System Books. Furmark, T., Carlbring, P., Hedman, E., Sonnenstein, A., Clevberger, P., Bohman, B., Eriksson, A., Hållén, A., Frykman, M., Holmström, A., Sparthan, E., Tillfors, M., Ihrfelt, E., Spak, M., Eriksson, A., Ekselius, L., & Andersson, G. (2009). Guided and unguided self-help for social anxiety disorder: randomised controlled trial. British Journal of Psychiatry, 195(05), pp.440-447. Hirai, M. & Clum, G.A. (2006). A meta-analytic study of self-help interventions for anxiety problems. Behavior Therapy, 37(2), pp.99-111. Ho, F. Y. Y., Yeung, W. F., Ng, T. H. Y., & Chan, C. S. (2016). The efficacy and cost-effectiveness of stepped care prevention and treatment for depressive and/or anxiety disorders: a systematic review and meta-analysis. Scientific reports, 6, 29281. King, R. J., Orr, J. A., Poulsen, B., Giacomantonio, S. G., & Haden, C. (2017). Understanding the therapist contribution to psychotherapy outcome: A meta-analytic approach. Administration and Policy in Mental Health and Mental Health Services Research, 44(5), pp.664-680. Lewis, C., Pearce, J., & Bisson, J. I. (2012). Efficacy, cost-effectiveness and acceptability of self-help interventions for anxiety disorders: systematic review. The British Journal of Psychiatry, 200(1), pp.15-21. Najavits, L. (2002). Seeking safety: A treatment manual for PTSD and substance abuse. Guilford Publications. Schwartz, R. C. (1997). Internal Family Systems Therapy. New York, NY: Guilford Press. Scott, P. (n.d.). Exploring Your Own System. Retrieved from https://www.derekscott.co/rs/wp-content/uploads/2010/12/Exploring-Your-Own-System.pdf. Wood, A. M., Maltby, J., Gillett, R., Linley, P. A., & Joseph, S. (2008). The role of gratitude in the development of social support, stress, and depression: Two longitudinal studies. Journal of Research in Personality, 42(4), pp.854-871. Yoshimura, S., Okamoto, Y., Onoda, K., Matsunaga, M., Okada, G., Kunisato, Y., Atsuo, Y., Kazutaka, U., Suzuki, S., & Yamawaki, S. (2013). Cognitive behavioral therapy for depression changes medial prefrontal and ventral anterior cingulate cortex activity associated with self-referential processing. Social cognitive and affective neuroscience, 9(4), pp.487-493.